Today we are so happy with lots of major releases for our products. 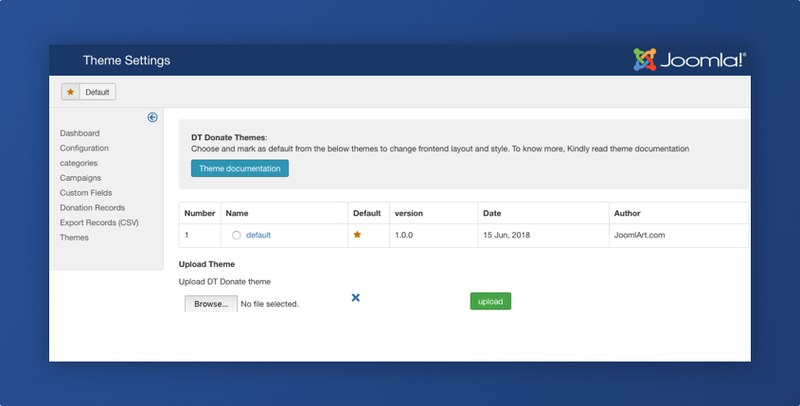 Firstly, after 2 months of development with multiple previews and alpha releases, DT Register Joomla stable is now available for download with many new features and major updates. 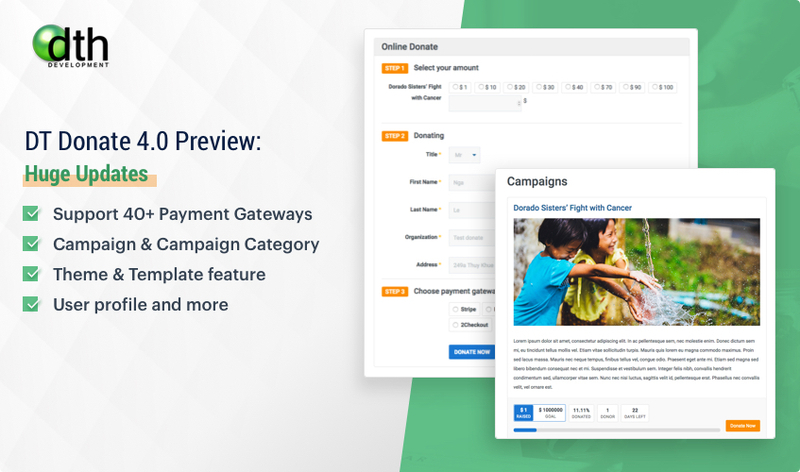 The page will display the list of donation campaign from 1 or multiple categories. The page shows detail information of a single campaign. More gateways will be supported in upcoming releases. 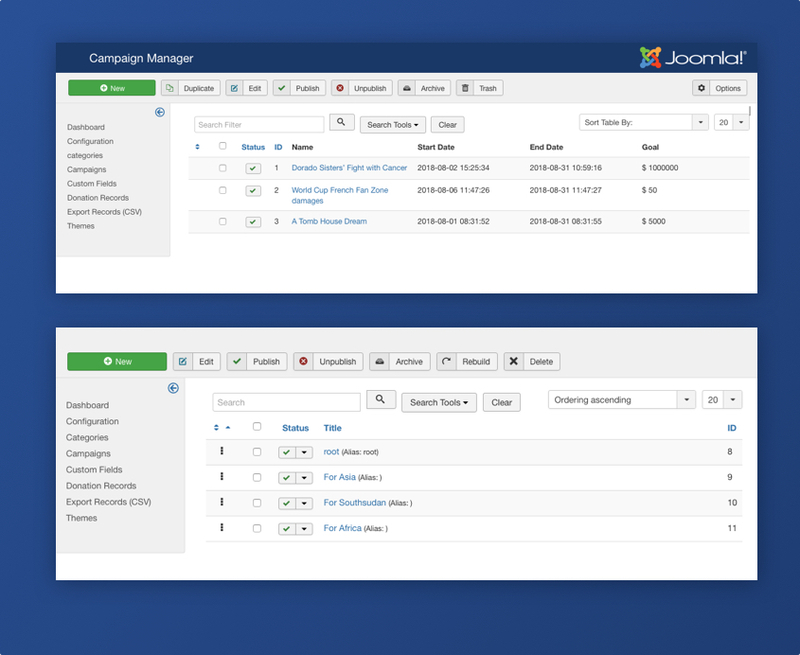 Campaign List: show list of campaigns from specific categories with multiple ordering settings. Besides features, design for the extension will be improved to make the front-end fantastic and ready-to-use. The extension will support multiple themes by default. The theme will come with the different color theme and layout structure. You can install themes via the theme management page in back-end and set any theme as default. 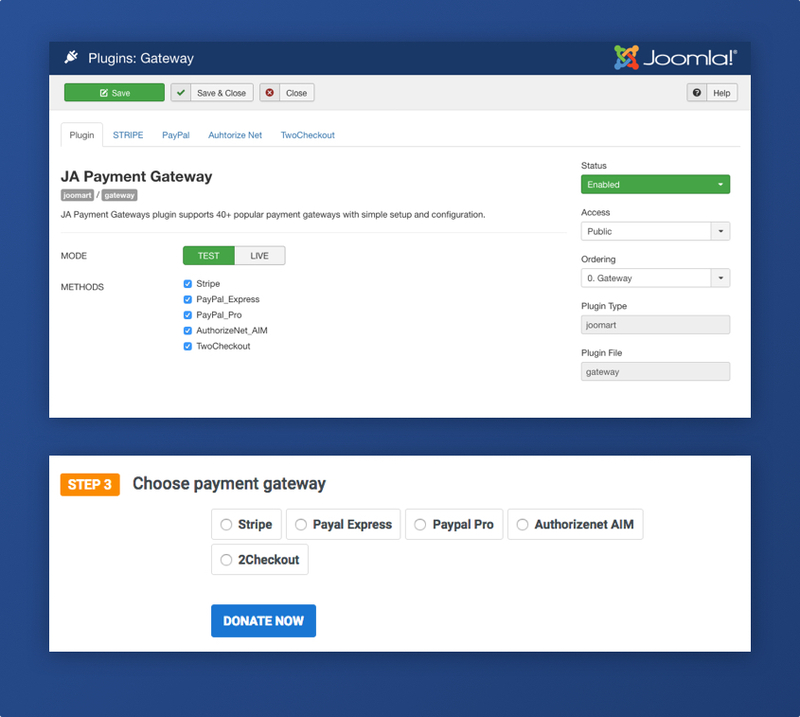 The back-end now follows the Joomla style and is more user friendly.